Civil Engineering deals with the design, construction and maintenance of the natural and man-made environment and Civil Engineers play a vital role in directing the great sources of power in nature for the convenience of human. 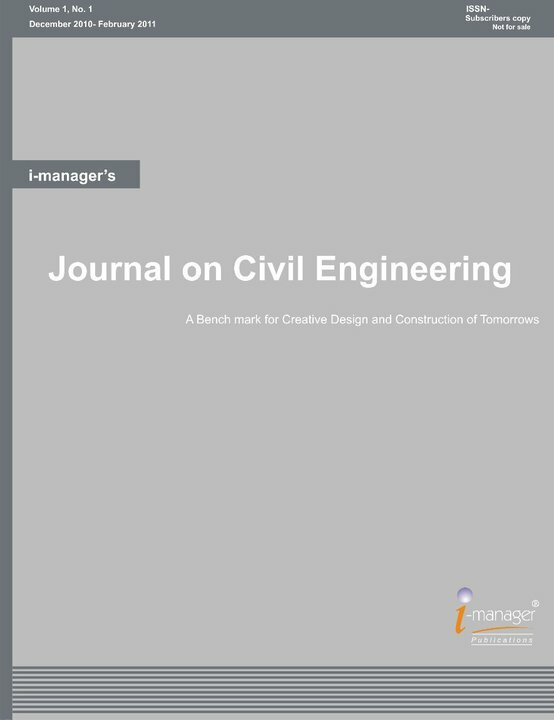 i- manager’s Journal on Civil Engineering aims to provide an Educational experience of the highest quality to the Students, Engineering Professionals, University Academic bodies and society embracing an appeal for a new, enhanced role for the profession. The Journal on Civil Engineering would be a platform for researchers in the field of Civil Engineering to share their views and to enhance the younger generation. The Journal follows a double blind peer-review process. The submitted articles / research papers are reviewed by Professors/ Educators of Civil Engineering. Academicians, practitioners and post-graduate students of Civil Engineering, University Educational Bodies, Researchers, leading Corporate etc.